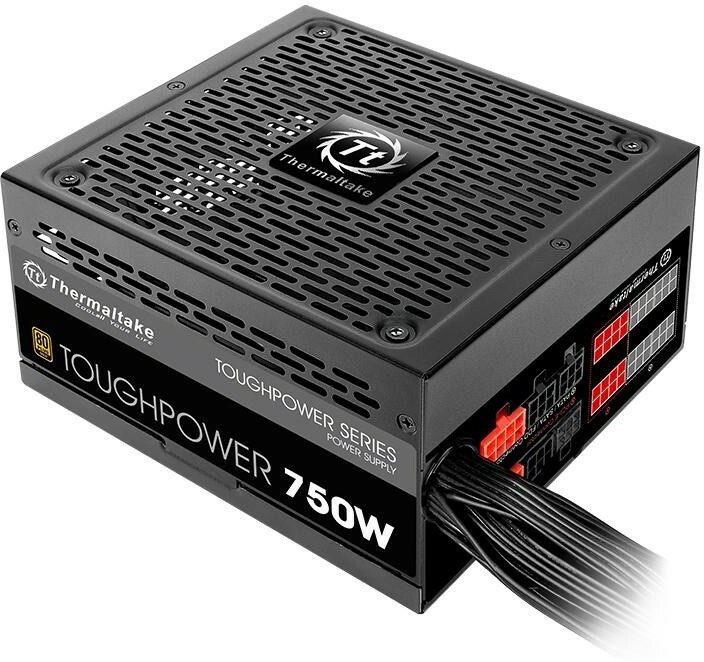 Thermaltake, being an industry leader in power supply units is proud to release the brand new enclosure for its high performance power supply lines – Toughpower Gold Series (550W/650W/750W), Smart M Bronze Series (650W/750W/850W) and Smart Bronze Series (550W/650W/750W). The Toughpower Series is a premium 80 PLUS Gold certified power supply that incorporates the highest quality components for unbeatable efficiency and stable performance. Especially, the modular cable design provides the ease of removal as well as reduces cable clutter. The ultra-quiet fan delivers silent cooling. With 80 PLUS Bronze certified, the Smart M Series and the Smart Series are the most valuable and economical choice line for users. The semi-modular Smart M Series comes with industrial grade protection, and is pre-installed with an intelligent RPM controlled fan that is optimized for silent operation. The Smart Series features flat and low-profile cables, and a 140 mm smart temperature controlled fan. The built-in fan can automatically detect the power load for fan speed adjustment and maintain optimal mute performance. Toughpower Gold Series, Smart M Bronze Series and Smart Bronze Series all are ideal for users to build a home or office system for 24/7 stable demands. Deliver up to 90% efficiency under real world load conditions to promise lowest power losses. In addition, Toughpower Gold Series is already prepared for Intel’s new, sixth-generation Skylake processor to achieve maximum energy savings. Ultra-quiet 140 mm fan comes with a noise level of around 18dB at typical load to provide silent cooling for your PC. Toughpower Gold Series is semi-modular power supply that offers cable selection for users while powering the system at an advantageous voltage. Low-profile flat modular cables that not only increased the airflow and made chassis thermal performance improved, but also allow for effortless cable routing. 80 PLUS Bronze Certified: 80 PLUS Bronze certified, offers up to 85% efficiency at 20-100% load under real world load conditions and promise lowest power losses. Saving the unnecessary waste of energy and environmental protection. Ultra Quiet 14cm Fan: Smart M Bronze Series adopts 140mm cooling fan with intelligent RPM control guarantees cool performance and silent operation. Flat Modular Cable: Low-profile flat cables with semi-modular design that not only increased the airflow and made chassis thermal performance improved, but also allow for effortless cable routing. Industrial Grade Protection: Built in industrial-grade protections: Over Current, Over Voltage, Under Voltage, Over Power and Short-Circuit protections. Top Quality Japanese Main Capacitor: High quality of Japanese made capacitor produces supreme performance with low impedance characteristics. The stable operation works for longer time with excellent reliability to enhance the power supply performance. Massive and Dedicated +12V Output: Smart M Bronze Series is equipped with a powerful single +12V rail that enhances rail stability and offers supports for the latest PC hardware. 80 PLUS Bronze Certified: 80 PLUS Bronze certified, Smart Bronze Series offers up to 85% efficiency at 20-100% load under real world load conditions and promises lowest power losses. Saving the unnecessary waste of energy and environmental protection. Smart Temperature Controlled Fan: Large 140mm cooling fan, built-in with intelligent temperature control device can automatically detect the power load for fan speed adjustment and maintain optimal mute performance. Flat & Low Profile Cable: Low-profile flat cables that not only increased the airflow and made chassis thermal performance improved, but also allow for effortless cable routing. Excellent Quality Main Japanese Capacitor: High quality of Japanese made capacitor produces supreme performance with low impedance characteristics. The stable operation works for longer time with excellent reliability to enhance the power supply performance. Massive and Dedicated +12V Output: Smart Bronze Series is equipped with a powerful single +12V rail.